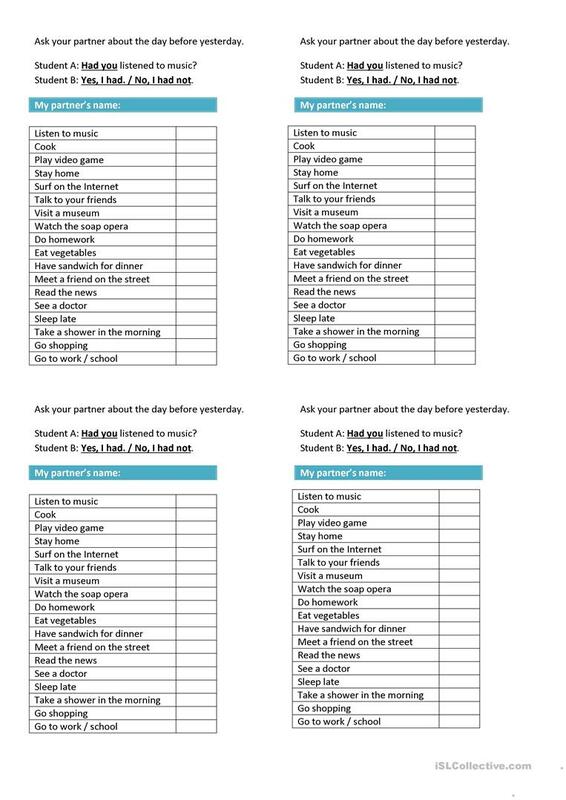 This act is a good way to teach Past Perfect since students have to ask each other about their previous day. First I tell them that I had an awful weekend because many bad things had happened on Friday which made them ruined my weekend. This downloadable teaching material was created for high school students and adults at Pre-intermediate (A2), Intermediate (B1), Upper-intermediate (B2), Advanced (C1) and Proficient (C2) level. It is a useful material for teaching Past perfect simple tense in English, and is useful for strengthening your students' Speaking and Reading skills. It features the theme of Daily routines.